Alpha (9 – 14 Hz): Rest, reflection. Beta (16 – 24 Hz): Concentration, alertness, improved memory. As an example, prolonged freeway/motorway driving can create a Theta state. These are those weird journeys when you can’t remember quite how it happened – also called “highway hypnosis”. You can also get great ideas during these periods, as Theta is great for creativity. In fact Theta is an important rhythm for some of the highest brain functions including memory, learning, and beliefs. Deep sleep is a Delta phase. However in 90 minute cycles, the frequency of brainwaves increases to Theta, when active dreaming and rapid eye movement (REM) occurs. In normal life brainwaves and frequencies are often ‘off-key’ or imbalanced across the brain hemispheres. Binaural Beat MP3s can synchronize strong and consistent frequencies across both halves of the brain. This is the optimum condition for what is known as a ‘peak state’, and is supported by EEG readings. You are fully ‘in tune’ with yourself, focused, balanced and brimming with energetic brainwaves. The chemicals used to create the electrical energy of brain cells (potassium and sodium) can also become imbalanced during states of alert Beta rhythm brainwaves (such as debating, teaching, or concentrating). This can cause mental fatigue, better known as a ‘fried brain’. Theta rhythm is the antidote for more relaxing brainwaves, and a good 5-15 minute bout of it with Brainwave Entrainment MP3s can restore the ratio to provide feelings of refreshed calm. Theta healing is a concept based on the natural mind magic of theta rhythm, a frequency of energy within the brain. Theta is between 5 and 8 beats a second, and is found during relaxed states, daydreaming, hypnosis, REM sleep and creativity. It’s relaxing and nourishing, and can be accessed through certain activities, meditation or my Brainwave Entrainment MP3s. Can you spot the link? All of these activities are important to the survival of the animal. For example, rats are so sensitive to their environment that they will explore a new place even before eating food that is presented. Something else that is surprising: all of the animals showed theta rhythm during dreaming (REM) sleep (just like humans). This strongly suggests that dreams could be a way of processing memories, that are somehow subconsciously important to living. Jon Winston (1972) found something that supports this. Theta rhythm in these activities, and during REM sleep, is indeed generated in a part of the brain that is the core of processing memories. Called the hippocampus, it takes in information from all sensory and associational areas of the brain, processes it, then fires it back out again. Cells in the brain need Theta rhythm in order to create long term memories. When you are doing something that your subconscious deems important, it will trigger theta rhythm. Then later, when you are dreaming, theta rhythm is activated again and this could be to preprocess memories, choosing which to associate with which, on an emotional, physical and psychological level. Theta rhythm enhances mental processes. We have already realised how important it is to memory – but when you think about what memory actually does, it opens up a whole new realm of possibilities. If you read about everyday hypnosis, or how the self image can be formed, you will know that inaccurate beliefs, associations, and misrepresented emotional events are rife within a normal human mind. Basically, learning and memory is a subjective process that occurs through natural hypnosis, and not a sponge of reality. Think about this: if you are get emotionally hurt by a person or an event, your subconscious is likely to interpret that as a real threat. Theta rhythm will kick in, and everything about that situation will be learned (you will probably also dream about it!). If you need examples of this, you only need to look at the phobia & hypnosis page. 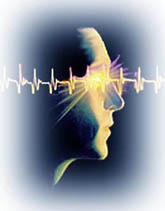 Find out how Binaural Beats can create Theta rhythm in your brain. 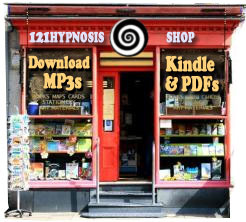 Click here to download a Binaural Beat MP3. I beilieve that by using these brain waves and utlizing nanotechonology you could create a limitless power soucre based solely on thought. REM Sleep actually involves more than just Theta brainwaves. It consists of mostly alpha in my opinion, but also includes Theta and Beta. And it’s generally believed most daydreaming is in Alpha brainwaves.